Nepal is open again for business! The Foreign and Commonwealth Office amended its travel advice at the weekend and no longer advises against all but essential travel to Nepal. The tragic earthquake which hit this small country on 25 April killed hundreds and left thousands more without food, clean water and shelter. The people of Nepal, aided by humanitarian agencies and charities throughout the world, have made herculean efforts in the ensuing two months to help in the recovery from this devastating natural disaster. In most parts of the country things are now back more or less to normal. 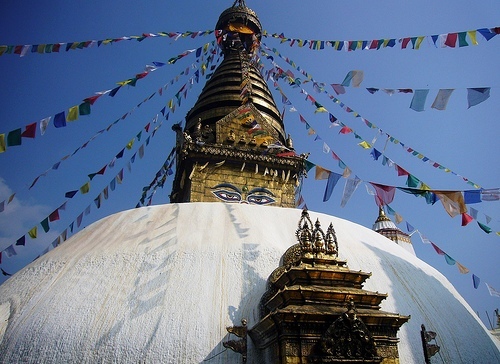 Tourism is vital to the economy of Nepal, so the FCO change of advice is heartening news. The friendly people of Nepal are now ready to welcome visitors again, and World Discovery is delighted to once again offer you a wide range of holidays for you to choose from. Some parts of eastern Nepal, including the Everest region, are still closed to visitors, but the rest of the country is open again for business! 3. Is electricity still working? YES but we are still subjected to the normal ‘load-shedding’ schedules. 5. Can I get from point A to point B? Travel is fine at the moment, the monsoon will no doubt loosen hillsides as it always does but there are many geologist groups in Nepal monitoring the situation, and will continue to do so after the monsoon. 6. Is Kathmandu Flat? Definitely not! 8. Which ones are the safest hotels in Kathmandu? Nearly all of the hotels have been checked and are now open as before, certainly the high profile (not necessarily the most expensive) ones are. 10. Is Wifi free at all the hotels and restaurants? Those that have this service are still providing it. 12. Does the phone and Internet work? All communication systems work as you would normally expect. 13. Is there lawless behaviour like looting? NO! 14. Is there a likelihood of aftershocks during my visit? Nepal has always had earthquakes, on average it gets over twenty per year, many under 4 magnitude so there always have been tremors. Now the main pressure has been released I guess it might be a safer place than it has been for the last 80 years or so, but we are still going through a ‘settling’ period and I guess there always will be these occurrences. 15. What is the situation of Pokhara, Chitwan /Nagarkot/Bhaktapur.. is it safe to go there? Yes it is safe to travel to these regions and locally safety advice is available at the tourist sites and temples. These districts were virtually untouched by the event. 16. What can I do and see around Kathmandu/Patan/Bhaktapur…. basically in Nepal after this earthquake…? All these areas have obviously been affected but there are many tourist sites, temples and treks that have been unaffected, these and the Durbar Squares and UNESCO sites are now open. An added attraction is to watch the craftsmen busy at work reconstructing the damaged areas. 19. Are trekking staff available or are they all working in their villages? 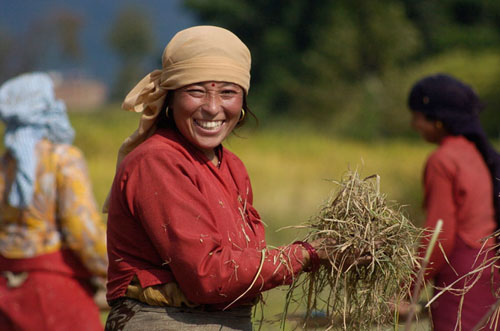 Many of the trekking staff live in Kathmandu, even if they don’t, reputable trekking agents will have a list of contacts in their trekking areas and all staff will welcome the opportunity to work to earn money to help improve their situation. 25. Are the Lodges safe and operational or should I intend to use tents and camp? 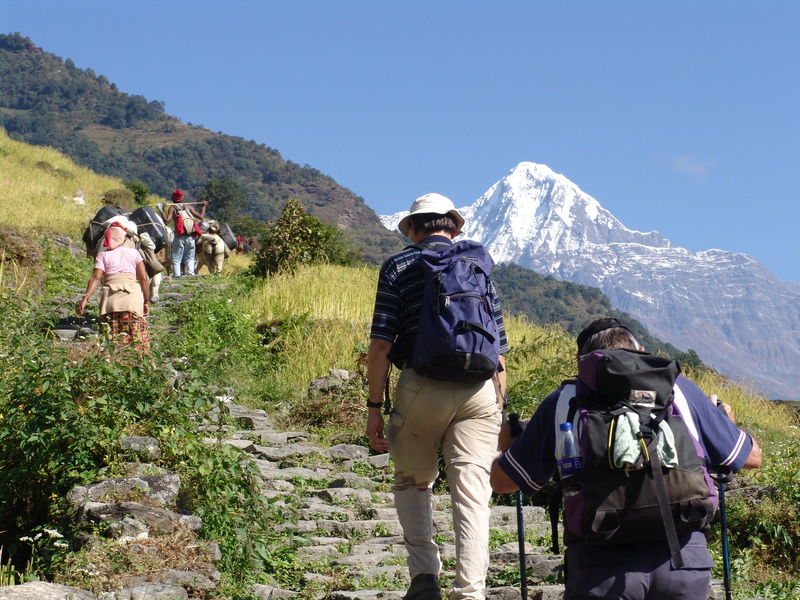 Lodge treks are available in the Annapurna region. Everest and Langtang are still closed and other affected routes are getting reinstated and opened for trekkers. Advice differs for different areas seek specific advice from your trekking agent. Mustang is an ancient kingdom which was part of the Himalayan salt trade route between Tibet and Nepal. For century’s Tibetan traders in caravans crossed over high passes and roved through deep gorges in order to exchange Tibetan salt and wool for food grains from the middle hills and lowlands of Nepal. Life in Mustang has changed little over the centuries and is considered a ‘living museum’ of Himalayan life. It is in this remote region that some incredible man-made caves have been discovered 155 feet up on the sheer cliffs of the Kaligandaki Gorge – one of the deepest gorges in the world. To explore this mystery Project Mustang was recently carried out by a team including adventure photographer Cory Richards, experienced climber Pete Athans, and archaeologist Mark Aldenderfer. In an article published last week in the Daily Mail Online the writer Anthony Bond called these man-made caves “one of the World’s greatest archaeological mysteries. Thousands of holes are carved into the fragile, sandy-colored cliff in a gorge so large it dwarfs the Grand Canyon. The astonishing number of caves, some dug into the cliffside, others tunnelled from above are thousands of years old but who built them and why a mystery remains. It is also not known how people climbed into the caves….an estimated 10,000 of these mysterious human-built caves have been found”. Please follow this link for the full article. 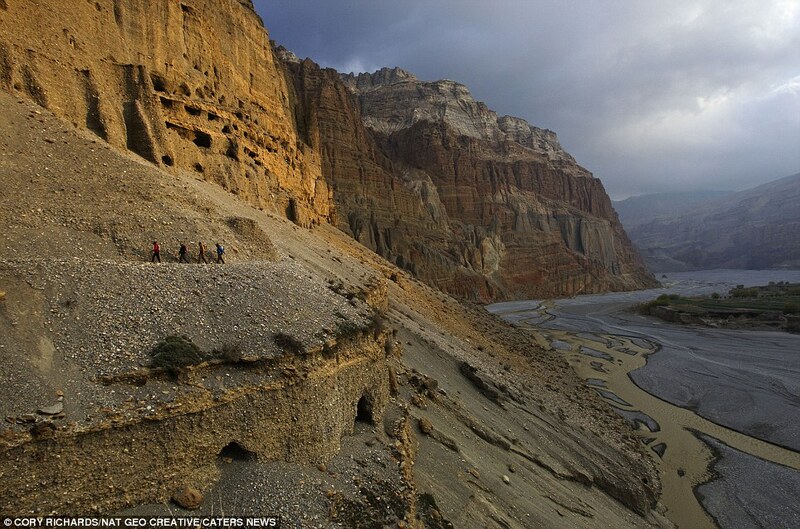 World Discovery offers a full service trek to Mustang (but not yet to the caves!) – The Hidden Valley – 17 days from £1840. The Bardia National Park was once home to a lowly 18 tigers but a recent report by the WWF has reported that the current population has now more than doubled to 37. The park covers an area of 400 square miles and the recorded increase provides evidence that the battle against tiger poachers in Nepal is currently being won. Nepal has experienced many problems with illegal wildlife trafficking, and tigers in particular have suffered greatly from poachers, with many being killed for their parts, almost rendering them extinct. In 2000, Nepal had a total tiger population of 350 but within eight years this had plummeted to 121. 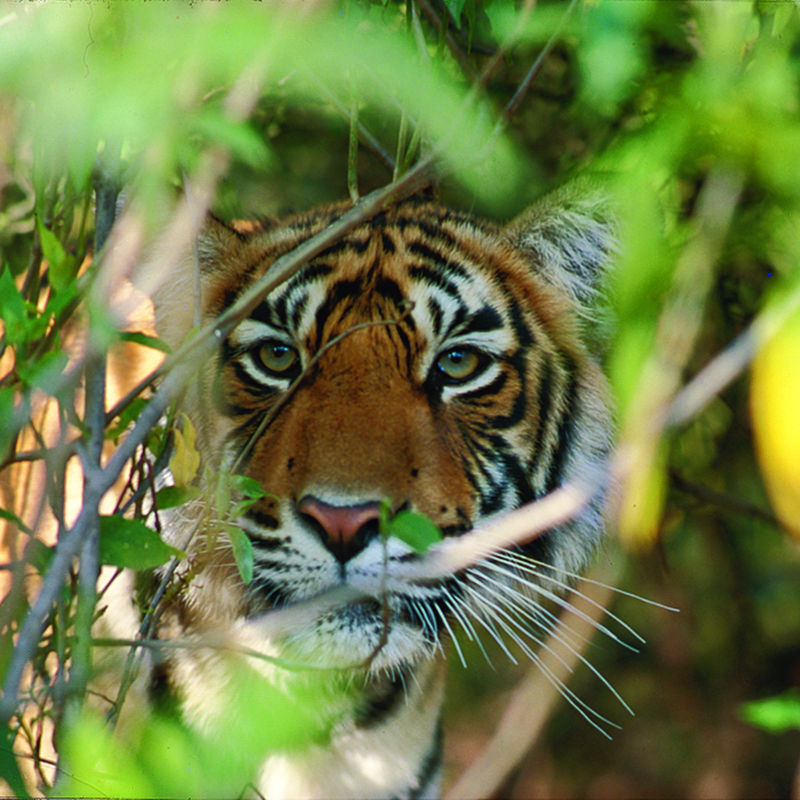 The Bardia National Park was expanded in 2009 in order to protect the tiger population. Although the new figure of 37 is still low, it is a step in the right direction in the midst of strong government support and hard work from local rangers. The WWF report identified the tigers via camera traps and counted 15 male and 22 females roaming in the park. It is hoped the numbers will continue to increase and the current tigers go on to produce more numbers in the coming years. This commitment to wildlife from Nepal follows last month’s news that India’s Supreme Court has banned tourism in core areas of tiger reserves (see World Discovery ‘India Holidays’ blog dated 25 July 2012). From September, solo trekkers visiting Nepal will be required to hire at least one guide or porter to accompany them after an official decision by the Nepalese Government. The Nepalese Ministry of Home Affairs has announced that from September 2012 onwards anyone planning to trek solo in Nepal will need to employ a guide or porter to accompany them. The new rules will apply to all of Nepal’s main trekking destinations. The decision comes after a recent spate of disappearances of solo trekkers and a murder of a lone Belgian trekker earlier this year. The Nepalese Government wants to ensure travellers safetywhile in remote or isolated areas, while providing more employment in these areas. The change in policy won’t affect trekking groups as they are already required to travel with a government approved trekking agency. Anyone booked with World Discovery, however, has no need to worry about the new rules, as all of our featured treks for individuals automatically include a guide and porters. Our popular lodge treks – A Short Walk in Nepal and Everest Foothills Trek operate throughout the season, or you might prefer the more adventurous trekking programme in the once forbidden Valley of Mustang.